So after my Cerebus post, I did poke around briefly on the eBays just getting the lay of the Cerebus-pricing land. 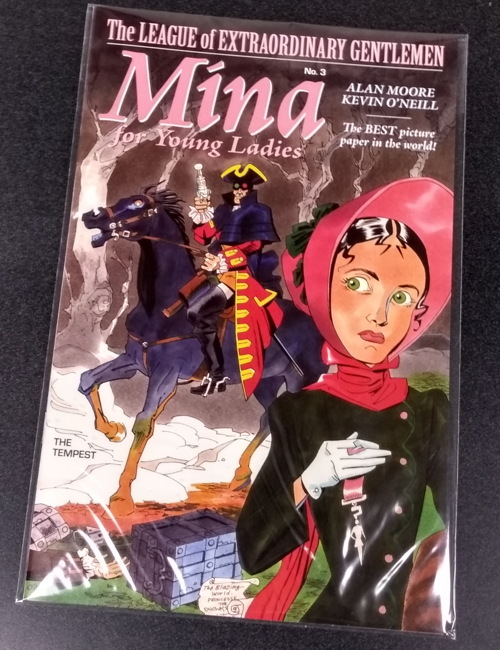 Aside from the first handful of issues, plus any “pro-graded” comics stuck in their little plastic slabs, prices were generally pretty reasonable, particularly if you’re like me, and not necessarily looking for near mint copies or anything. Not that buying all these up are a huge priority for me right now or anything what with other expenses I need to worry about (unless I add that as a tier to my Patreon: “150 PATREONS: WILL USE MONEY TO COMPLETE MY CEREBUS COLLECTION”). Plus, my collection at home is still in some disarray after pillaging it for store stock, and I need to get it in some kind of order before I start fillin’ them holes. But, it’s good to know that getting most of them won’t cost me an arm, a leg, and my remaining eye. I suspected as much, given that back issue demand for the series has dropped over the years since the title ended. Those early issues, though…I mean, it is still a major publication in the history of independent comics, and those initial comics are “key books,” if you’ll pardon my language, and will still command premium prices in the collectors market. Even the counterfeit #1 goes for a pretty penny nowadays, being itself a piece of historical significance. They sold…okay, at first. At the previous place of employment, Cerebus itself was sort of petering out saleswise, at least until there was a slight bump upward with the last few installments. The follow-up items, like Glamourpuss and the Following Cerebus ‘zine started out with relatively good sales, but also eventually dipped until I was pretty sure I was the only person reading them at our store. The same has happened with the webcomic reprints…had some sales, then eventually dropped and dropped until, again, I was the lone holdout. I do have one fellow who occasionally requests an issue because the parody cover amuses him, but that’s about it. I don’t know why that is…well, okay, at least one person told me that there were just too many coming out, he fell behind, and just decided to quit. I do suspect that there was at least a few readers hoping for actual new “serious” adventures of Cerebus in Hell. and not just Cerebus clipart pasted over Gustave Doré illustrations with gags. 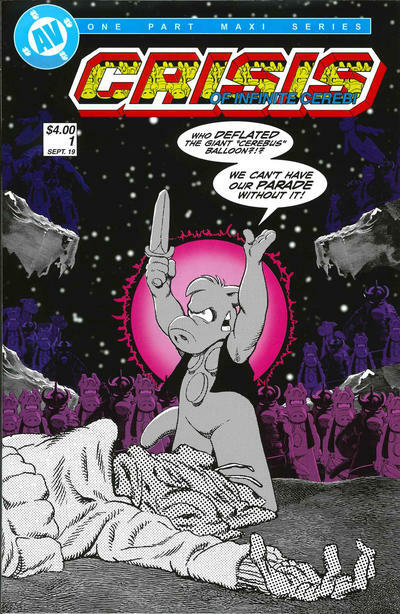 Oh, almost forgot…the original Cerebus doesn’t really sell at all for me. I don’t have a huge stock of the issues, but I rarely have anyone ask for it. I did have a couple of those slabbed copies sell online, as I mentioned last time, but when I do sell Cerebus , it’s usually in the form of the trades. Nik asks as a follow-up “what do you think of ’em” and “who’s buying these things,” and to answer the last part…um, me. I’m buying them, I admit it. As to what I think of them…I think they’re amusing. The repeated use of those, what, three poses of Cerebus mixed with the Doré art does tickle me, and the jokes can be funny, but it’s totally an acquired taste. Plus, I do like the covers. 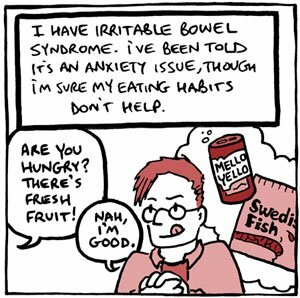 I am way behind, though, but that’s only because I’m way behind on nearly all the comics I usually read due to my recent eye problems. Normally I’m a quick reader and would have no problem keeping up on the weekly releases, but of late it takes me a lot longer to absorb the text in any comic I’m perusing. Once things are finally corrected and I can get a proper pair of prescription eyeglasses instead of the reader glasses I’ve been depending upon, I’ll hopefully be able to catch up, assuming the giant to-read stack doesn’t crush me first. Speaking of questions, no, don’t worry, i haven’t forgotten about the last time I took some from you kind readers out there. I will continue answering those as time and blog content necessity allows. And, if you haven’t already, don’t forget to give me your 2019 comic industry predictions so I have something to talk about in early 2020, aside from Iron Man 2020 and the Superman of 2020. I plan to start going over your 2018 predictions next week, so unsubscribe in your favorite blog reading programs right now! I should be able to get through those in, um, a couple of weeks, unless there’s another eye surgery that happens in there somewhere, but I’ll do my best! * I don’t know if that was just a joking suggestion or not, of if even those guys made it or Sim himself did. But I still keep picturing what that would have been like! I mean, other than amazing. A brief note regarding the next couple of weeks. 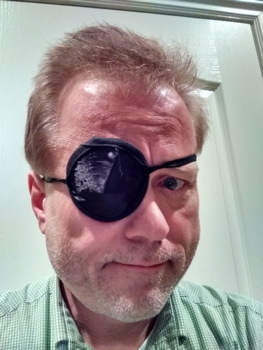 There’s going to be some Low Content Mode action (or rather, non-action) for the next two weeks at Progressive Ruin Dot Oxnard Dot Gov, as I’m going to be going in for that eye surgery that all the kids are raving about these days. This Monday, as this post goes up, I’ll be having an early morning check-up, just to make sure I won’t croak on the operating table, and then the following Monday I’ll be having a breakfast serving of a vitrectomy, which is just as much fun as it sounds. I’m told it’s a very routine procedure, and I’ll barely notice it happening as it’s happening, thanks to the “happy juice” (as the doctor calls it) that’ll be in my system, so let’s hope. Anyway, what does this mean for you, the Progressive Ruin reader, aside from the nausea after Googling “vitrectomy?” It means a short post today, which you’re reading right now, presumably…then I’ll likely post on Wednesday and Friday as normal. Then next week, after the operation, don’t expect a whole lot. I’ll try to check in if I’m up to it, but otherwise, consider it a vacation from my usual yapping. Also, most tragically, I’m probably skipping the End of Civilization post this month. Yeah, I know, I’m sorry, but I’m just not finding the proper time to get one in there right now…but we’ll see as we get closer to Christmas, when traditionally everyone has plenty of free time on their hands. So that’s that…I figure getting the fluids changed in my eyeball is a good enough reason to slack off on the site a bit. I’ll be back up and running as normal in short order, I’m sure, so thanks for reading, pals, and I’ll see you again…hopefully with two working eyes, finally…soon enough! Yes, “buck” is supposed to be singular. Hey, I keep forgetting to mention that Mike over at Zombie Cat Bacon is doing a rundown of comics blogs linked at a couple of the weblog update sites (such as the immortal Comics Weblog Update-a-Tron 3000) and seeing who’s active, who’s not, who’s moved on to other formats, who’s transcended this world of pain, who’s naughty, who’s nice, and so on. That link up there goes to the most recent post, but the previous installments are mostly on the main page and the next page back. It’s interesting, if a little…I don’t know, melancholy I guess, since a lot of the folks I thought of as “my fellow comics bloggers” have, probably wisely, found other things to do, leaving me and a few others as the last standing members of the old folks…er, old guard still doing whatever it is we think we’re doing. 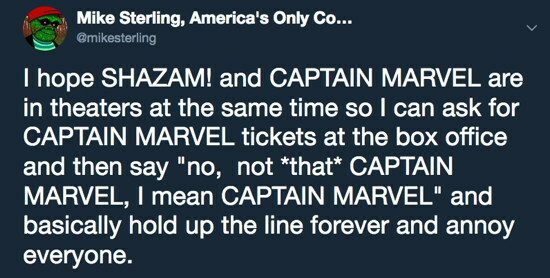 Meanwhile, you young folks with your Tumblrs and your Mastodons and your Snapgrams will forge ahead with your New and Now comics commentary while I’m still posting about how comics aren’t like how they were back when I was a kid, while trying to open up my Geritol with my weak, gnarled hands. 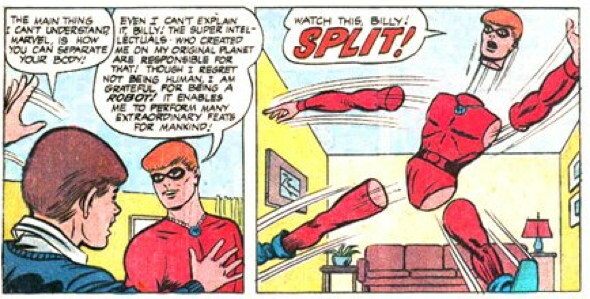 Of course comic blogging is all going to end with Johanna and I fighting each other with broadswords on a desert plateau somewhere, while Neilalien looks sadly down upon us from whatever multidimensional plane to which he’d long since ascended. One of the recent comics retail phenomenons is of course the recent increase in demand for issues leading up to The Big Anniversary Issues, Action Comics #1000 and Amazing Spider-Man #800. To a small extent, some of the sales increase, at least in the case of Marvel’s books, may be attributable to the gradual rise in purchases due to the recent, and already about to be rescinded, “Marvel Legacy” initiative, as I wrote about here. 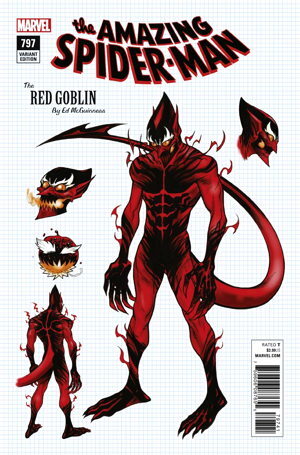 In the case of Spidey’s book, however, the primary reason seems to be a combination of whatever is going on the Green (or, rather, Red) Goblin, a new evolution of a classic Marvel villain, plus the fact that Amazing Spider-Man sales had been kinda eh lately which means a “scarcity” of copies in comparison to the number of people trying to get their hands on them. They’re Hot, They’re Rare, People Snap Lots of Copies off Shelves, They’re Even Rarer and Hotter Now. You know the cycle. Action Comics I’ve certainly noticed a small bump in sales as we approach #1000, but not quite the same “hotness” since I’ve had pretty good luck getting reorders on recent issues. 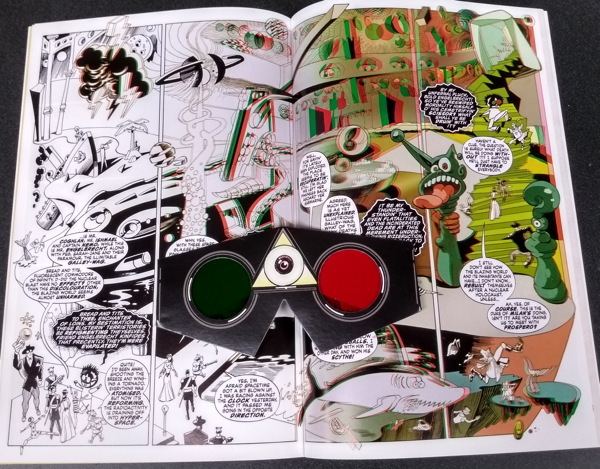 A nice side effect is that the lenticular covers for the “Oz Effect” storyline, which, er, I may have had a few extras for and thus left on the rack, are selling again. Now the trick of course, as has been noted, is trying to figure out how these titles are going to sell after hitting the big double and/or triple zero milestone…made especially trickier as we’ve got some changes in status quos coming to both (yet another relaunch for one, Big Name Writer for the other). As I’m pretty sure I’ve already discussed somewhere already (oh, wait, it was here), the relaunched Spider-Man I’m going to have a lot easier time figuring numbers on (the assumption being that ASM sales will likely shrink back to where they were before), while for Bendis coming onto Superman, I’m going to have to extend all my sales-estimating powers. I think it’ll do well at least at first, but how well, for how long? That’s what they pay me the big buck to figure out, so let’s hope I can.